A recent study has suggested that the leading cause of death in infants, known as sudden infant death syndrome (SIDS), which affects significantly healthy children under the age of 1, may have a genetic basis in a subset of cases. Doctors have been extremely confused regarding the sudden deaths of healthy babies, often while they are sleeping. 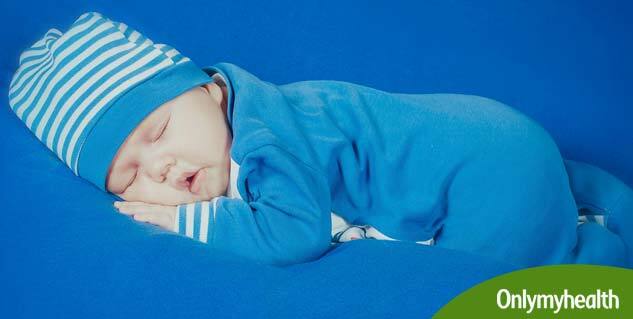 The position and environment in which a baby sleeps are two of the major causes of SIDS. To educate the parents about the way a baby should sleep, a campaign was launched and it helped reduce SIDS deaths over the last two decades. A study published in the Lancet suggests a genetic mutation affecting the respiratory muscle function may be associated with SIDS in a few cases. According to the researchers, the mutation causes a dysfunction that makes it difficult for neonates to adequately respond to hypoxemia – an abnormally low level of oxygen in the blood. “I think the evidence is pretty compelling that some cases of SIDS are caused by sodium channel mutations. There must be a vulnerability, and what we’re saying is that in some cases the sodium channel is rendering them vulnerable,” said Dr Michael Hanna, the lead author and a professor at the University College London. The National Institutes of Health has reported the syndrome accounts for nearly 2,400 baby deaths every year in the US. For the study, the researchers compared the genomes of 278 children who died from SIDS and compared them to genes of 729 adults without any history of respiratory, cardiovascular or neurological diseases. They found a rare mutation in four of the total cases of SIDS, called SCN4A which are associated with the impairment of the breathing cells. Further research would be required to see if this is the cases in the majority of the SIDS cases or not, considering that this is the first study to link a SIDS to the genetic cause of weaker breathing muscles. "Basically, just the act of putting a baby on their back to go to sleep instead of the front reduces the incidence of these deaths by about 60%,” he added. “Putting babies to sleep on their back remains the most important advice along with avoiding co-sleeping and cigarette smoke. This research is starting to unravel genetic risk factors but further research is needed to assess relevance to clinical practice,” Hanna commented.